High Security, High Speed, with Architectural Style – All in One Door. With an opening speed of up to 60 inches per second, the Spiral® door offers the speed you need for high-traffic situations. Rigid, aluminum slat construction eliminates any need for a second overnight security door. Crisp lines give the Spiral door a stylish look that’s great for all kinds of commercial, institutional, as well as industrial applications. Because its anodized aluminum will not corrode, you can count on that look to last for many years under even the worst weather conditions. The Clean-Roll door is the only high-speed roll door designed specifically to meet the most comprehensive and stringent hygienic standards in the world – a combination of USDA, FDA, NSF and ISO standards. All of the door’s components are fabricated of stainless steel or USDA compliant materials. Designed to allow complete washdown and includes many more sanitary design features that make it the natural choice for applications that demand absolute cleanliness. Plus, it provides all the low-maintenance, energy savings and productivity benefits of a high-speed door. The perfect choice for architectural applications that require bright light, open visibility and a modern, industrial feel. Well-suited for restaurants, service stations, car dealerships, fire stations and trendy commercial retail and office spaces with a distinct architectural appearance. Blue Giant has a complete line of rugged and high-performing yet lightweight hand pallet trucks, all designed to exceed the demands of the toughest workplace environments. Recognized for their reliability and durability, Blue Giant manual pallet trucks are used in busy facilities all over the world. Each compact model offers years of high productivity and a low cost of ownership. 'Go Fan Yourself Fans' are right at home in warehouses and manufacturing facilities. Certain challenges come with designing a fluid facility that maximizes both mechanical and human effectiveness. Whether you assemble, fabricate, repair, process, maintain, wash or bottle your product, "Go Fan Yourself Fans" alone or in tandem with an HVAC system control energy costs and reduce condensation while enhancing comfort. At Core Solutions we pride ourselves in expediency. We know how important having your docks and doors in working order is to keeping your operation running smoothly. We promise our customers 24 hour response time to their service needs. Try us! We will prove it! Core Logistical Solutions offers professional installations on all the equipment we sell. We have combined 20 years experience in the industry and we know the importance of a quality install. Improve your company's productivity and energy efficiency with high-quality work and products from Core Solutions. Core Solutions specializes in loading docks,roll-up doors, high speed doors, and HVLS Fans for commercial and industrial businesses. We have 10 years of experience to back our work and ensure your satisfaction. In today's fast-paced marketplace, you can't afford extended downtime in your logistics process. let us show you the latest in technology to reduce your cost of ownership and save energy costs with our "Green" docks. Doors & HVLS Fans We provide quality roll-up and high-speed door installation, as well as HVLS fan repair and installation, to make things move more smoothly in your dock. Give us a call to see how we can help with all your Door and HVLS installation and repair needs. coredockanddoor.com , recognizes that an individual's privacy is very important to them and that they have a right to control their personal information. coredockanddoor.com acknowledges that when an individual provides personal information about themselves to another party it is an act of trust. In response, coredockanddoor.com takes the process of upholding an individual's privacy very seriously. Unless an individual gives coredockanddoor.com explicit consent to act otherwise, the following policy will govern how coredockanddoor.com handles an individual's personal information and safeguards their privacy. The principles contained in this privacy document apply to all personal information collected or submitted to coredockanddoor.com. 1. What information of yours does coredockanddoor.com collect? coredockanddoor.com collects two different types of information. One type is voluntary information, which you provide, such as registration information for events, membership information, or shipping and billing information. The other type of information coredockanddoor.com collects is user information provided by your computer each time you visit this site, such as IP address, browser. The information that coredockanddoor.com collects helps us to provide information and service to you. We may combine information from other sources with the information that we collect. 2. What does coredockanddoor.com do with the information that is collected? Any information that you provide to coredockanddoor.com or that is obtained through this web site may be used by us. coredockanddoor.com will not sell, rent or lease your personal information to commercial entities. coredockanddoor.com will not disclose your name, address, e-mail address or phone number without your express consent, unless disclosure is necessary to comply with laws or relevant legal proceedings. coredockanddoor.com may offer services to you such as chat rooms, message boards, or other similar discussion forums. Please be aware that any information you divulge in these arenas is deemed public information and is not protected. 3. What are "cookies" and how does coredockanddoor.com use them? 6. How does coredockanddoor.com protect the privacy of children? coredockanddoor.com encourages parents and guardians to spend time with their children online. No information should be submitted to or posted on coredockanddoor.com web site by users 13 years old and younger without the consent of their parent or guardian. Unless otherwise disclosed during collection, coredockanddoor.com will not provide any personally identifying information, regardless of its source, to any third party for any purpose whatsoever for our users 13 years and younger. If any services or features on the site require registration, a user 13 years old and younger will be required to provide the email of the parent or guardian which will allow us to notify that person that the child has registered for a service or feature. Parental or guardian consent will consist of an email from that person to coredockanddoor.com stating that they are aware that the child is using the web site. Identifying a user as 13 or under is not easy and coredockanddoor.com will not be held responsible for anyone misrepresenting as over 13 when in fact they are not. 7. coredockanddoor.com reserves the right to change or amend this policy. coredockanddoor.com reserves the right to change, amend, or restate this policy. 8. Your affirmative consent to coredockanddoor.com collection and use of personally identifiable information. By using coredockanddoor.com website, you are giving us your express consent to use all the information that we collect about you in the manner described in this policy. This includes the release of such information to third parties as described above. At Core Logistical Solutions, we specialize in dock repairs in Mississippi. We know how important having your loading docks working properly is to ensuring your employees safety as well as keeping your business running smoothly. We offer some of the industries best prices on repair parts. We also provide our customers with a 24 hour response time to ensure their service needs are met. 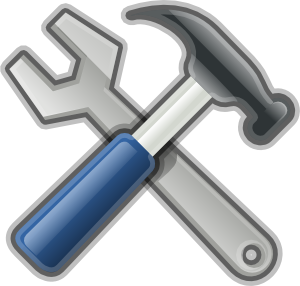 Core Logistical Solutions offers planned maintenance programs for any of our equipment. Planned maintenance includes lubrication, inspection, checks for proper operation, minor repairs and adjustments, and a written checklist for each piece of equipment being worked on. We offer planned maintenance programs at extremely low prices because it helps us build a trusting and familiar relationship with our customers. Core Logistical Solutions focuses on fast and efficient dock repairs. We are dedicated to our customers, and strive to provide excellent customer service. We work with our customers to repair equipment fast. We have 10 years of experience to back our work and ensure your satisfaction. Contact us today to schedule a repair or get an estimate for a replacement dock at your facility. At Core Logistical Solutions, we specialize in door repairs in Mississippi. We know how important having your doors in working order is to keeping your operation running smoothly. We offer some of the industries best prices on repair parts. We also provide our customers with a 24 hour response time to ensure their service needs are met. Core Logistical Solutions focuses on fast and efficient door repairs. We are dedicated to our customers, and strive to provide excellent customer service. We work with our customers to repair equipment fast. We have 10 years of experience to back our work and ensure your satisfaction. Contact us today to schedule a repair or get an estimate for a replacement door at your facility. Core Logistical Solutions offers professional installations on all the equipment we sell. We have combined 20 years experience in the industry and we know the importance of a quality install. Professional installations keep your manufacturer warranties in tact and extend the life of your equipment. We have an extreme attention to detail and we want you the customer to be completely satisfied with the end product. At Core Logistical Solutions offers PMP or planned maintenance programs. Planned maintenance is scheduled on a annual, bi annual, quarterly, or monthly basis, depending on the customers needs and/or frequency the equipment is being used. PM includes lubrication, inspection, checks for proper operation, minor repairs and adjustments, and a written checklist for each piece of equipment being PM'd. We offer the PMP's at extremely low prices because it helps us build a trusting and familiar relationship with our customers. Call for your free PMP consultation and quote today! Core Logistical Solutions offers a complete line of finely crafted, technologically advanced loading dock equipment! Unmatched Durability and Reliability A fast paced and rugged workplace demands tough doors that give you peace of mind. Year after year, receive high performance with maximum up-time and minimal maintenance. TNR’s team gets you the roll-up door you need, ideal for applications with rugged, harsh environments, and high traffic conditions. Rytec Doors Rytec Corporation is the nation's leading manufacturer of high-performance doors for industrial, commercial and cold-storage environments. doors that work - day in, day out, cycle after cycle. TNR Industrial Doors With over 60 years experience specifically in engineering and applications problem solving, a new generation of heavy-duty industrial rubber doors has been created. Core Logistical Solutions - A Pioneer Dealer PIONEER provides a full line of dock levelers, truck restraints, seals, shelters, dock/warehouse safety equipment, high speed roll up doors and related dock equipment. Core Logistical Solutions unveils new Safety Products Pathwatch™ Safety Light System provide advanced warning to vehicle drivers and pedestrians that the door is about to operate. Core Logistical Solutions Replacement Parts If your looking for replacement or repair parts, be sure and give our parts department a call. We offer some of the industries best prices on repair parts.